I am back after a relaxing holiday in Malta, so normal service can be resumed. 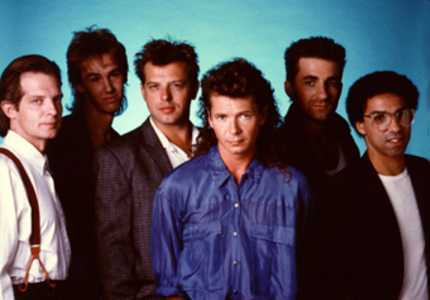 Some more mainstream stuff now but continuing to work up through the 80’s with this slice of rock pop by the coiffured, Iva Davies and Icehouse with their comeback single “Crazy” from 1987. Locked in that sound that Simple Minds et al made their own, to me it reminds me of late Flock Of Seagulls especially that guitar solo. With the suitably named “Mad Mix” which adds some and the lets-mess-around-in-the-studio-with-this-sampler track, “Completely gone”; how many animal sounds can you add in a track, talk about Old Macdonald and his farm !! From 1987 and some tuneful garage rock from Scotland’s Soup Dragons. With a tinge of vinyl noise it doesn’t spoil the enthusiasm of these tracks. Predating the indie stuff of the 90’s ( a scene that ironically they had their most success) it is in the famous C86 style, almost like the Buzzcocks. It was produced by Pat Collier of The Vibrators. The Buzzcocks resemblance is even more evident in the punkier “Girl In The World” but the gem is the epic anthem “So Sad I Feel”. At over 7 mins it is a grower and was off the album “Hang Ten”, could be played at any Indie Club Night, I know I will. The version on this homemade video is slightly different. A bit of Spear to start the week. Bringing to you this electronic ballad from 1987, produced by Zeus B Held. As well as the extended version there is another 3 tracks, 2 of them live. The main track itself was from the album, “Outlands” and is a fitting for any film soundtrack, the guitar (a Gretsch I think) makes a couple of solo appearances. The “Late Night Psycho” is a rockabilly track, just guitar and trumpet (?) 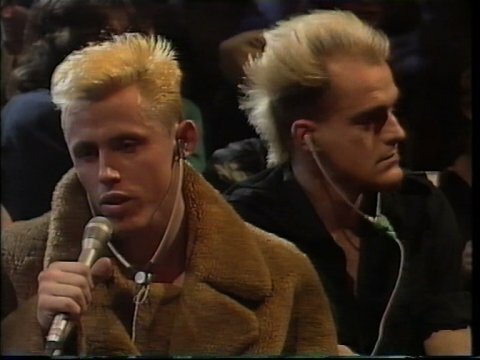 The 2 live tracks are from a Radio 1 session are well established live favourites to fans, “Mickey” is a particularly powerful. 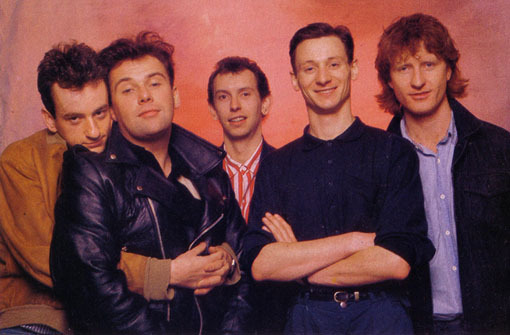 Some less commercial and well known stuff now from Irish band Microdisney. Formed in 1980 in Cork by Cathel Coughlan (keyboards and vocals) and Sean O’ Hagan (guitar) Championed in their early career by John Peel this 4 track 12″ (VS 927-12) from 1987 showcases their more commercial sound and came out on Virgin records. A good introduction to the band the lead track is drenched in strings and handles the theme of impending nuclear war. “Little Town in Ireland” comes across as booze tinged country and western homage in the style of the Pogues. Two live tracks on the B-side, “Bullwhip Road” is a poignant, piano led piece of angst with some fine vocals and lyrics. “Genius” is more indie guitar, a bit Smiths-like. 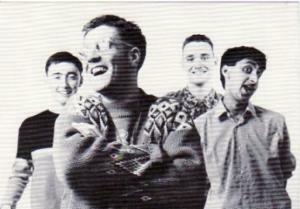 Following their demise, Coughlan went onto form The Fatima Mansions and O’Hagan founded The High Llamas, which Jon Fell soon joined, O’Hagan also worked with Stereo Lab. 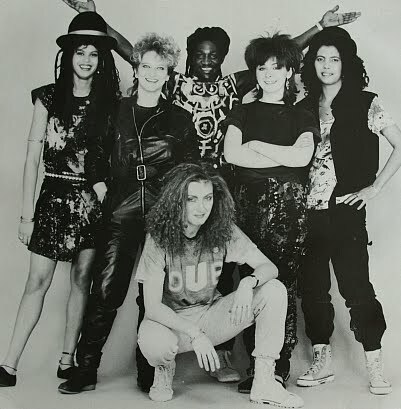 From 1986 and a slice of light reggae inspired pop from all-girl group Amazulu. A cover of the Bobby Bloom classic it is suitably tinged with synths and remixed by Stephen Street (The Smiths, Blur) Perfect summer pop. B-side is the self produced reggae track “Only Love” with slight dub influences. From 1987 and re-imagined by American Producer Bruce Miller and remixed in a house style by Freddy Bastone. For ages I have loved the Was (Not Was) cover version of this track but I now much prefer this beefed up take on a soul classic. 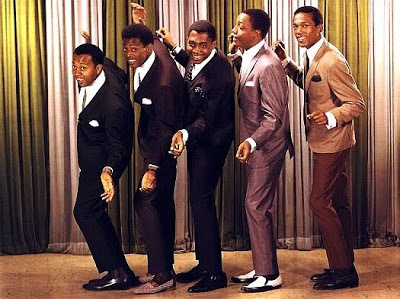 An original track, “Ain’t Too Proud To Be” from 1966 is included as a B-side. Feel the soul from the vocals of David Ruffin. “Love is like a razor when you’re looking for a shave.